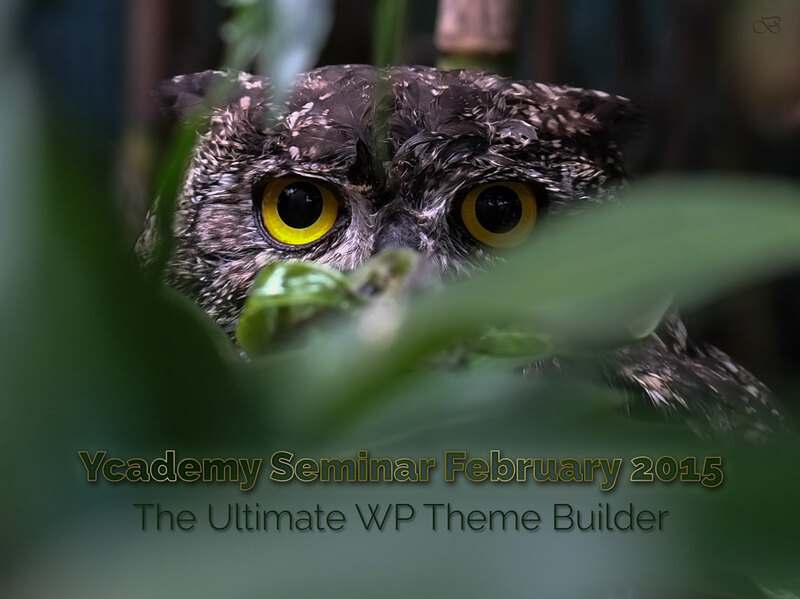 Following our Seminar in January 2015 and based on the increased complexity of building custom WordPress themes, the Ycademy Seminar February 2015 continued its focus on the introduction of the most flexible framework for WP themes to be included in YORGOO: the Ultimate WP Theme Builder – offering brilliant features like the Layer Slider, the Revolution Slider – and, of course, the Composer and various Ultimate Add-ons. And much more – no or very little code needed. What was lying before us was an inferno that lasted for 3 memorable days and nights that only those who went through the historic ‘Cape of Flames’ in January 2000 may have ever seen. Well, we went through those, too, and our entire garden went up in flames. Ironically, the background of my novel ‘Piu Piu‘, currently in the publishing pipeline. While Nature’s forces cannot be stopped, it’s amazing what we humans can achieve if we stand together for a common cause! As such, all our gratitude and respect goes out to the courageous and skillful Cape Town pilots of helicopters and planes that water-bombed the hotspots during the day to stop the desaster from spreading to residential areas, and the many committed fire fighters, volunteers and community members who did not rest until the worst was over – our hearts go out to them for the selfless service given – a service that certainly helped to save many houses if not lives. Impossible for me to take any pictures during the drama – except the one above when I left – as all hands were needed to extinguish the flames or assist in one or the other way. So get a taste of what we went through and what lies ahead for those with major damage if not their entire houses burnt down by watching the Cape Town Mountain Fires March 2015 here. Living in one of the world’s “…richest floral kingdoms”… namely the so-called fynbos (fine bush) with its large varieties of proteas, pincushions, restios and reeds, comes with a price: fynbos burns in a natural 15 year rhythm. This is how the old groundcover and bushes are eliminated and turned into highly nutritious soil while seedpods burst open to release their seeds. Other seeds that have been lying dormant in the ground for years, start to move and stretch reaching out for the light. Just wait until the first – hopefully light – rains have fallen and the miracle of new life splashes colours across the dark ashes of the mountains and burnt valleys, filling us with awe and joy! Fire is one of Nature’s fascinating ways to create the space for something new and beautiful – amazing! 15 years… that takes us to 2030… Peace!